Five sisters died in a gruesome house fire on February 4 in Astana, Kazakhstan’s ultra-modern capital. Their deaths sparked outrage on social media, one of the few remaining spaces inside the country for political debate, as word broke that the family struggled to make ends meet and could not find adequate childcare. The parents apparently left their daughters, who ranged in age from three months to 13 years, at home alone as they toiled in low-paying night jobs. The Kazakhstani government, which has long promoted policies to encourage women to have more children, did not provide this multi-child family with a social-safety net. The government’s failure to live up to its pledges of support for such families resonated with a population accustomed to lofty, but rarely fully implemented, plans to transform the country’s economic and political landscape. This tragedy is not an isolated incident; it is simply the latest in a series of events that have exposed rising discontent in Kazakhstan. A brawl between Armenian and Kazakh revelers on New Year’s Day left one dead in the provincial town of Karaganda, raising the specter of ethnic tension in a country that has seen little of it. Floods devastated parts of Astana in summer 2018, causing a backlash against shoddy construction and the officials who approved it. In Almaty, the country’s financial capital, the July 2018 murder in broad daylight of Olympic figure skater Denis Ten led to a public outpouring of anger. Ten, who won a bronze medal at Sochi, had confronted two men who were trying to steal mirrors off his car. Angry residents blamed the police for spending more time monitoring dissent than protecting people from rising crime. The house fire, however, epitomizes many of the country’s social problems, as well as the widening gap between the government and the governed. Despite the frigid climate of northern Kazakhstan, this family lived in a new part of town that that had yet to have city gas pipes installed, leaving them no option but to turn on the stove to keep their children warm. But, like many things in the country, that stove apparently did not meet safety standards. Citizens now often blame the country’s pervasive culture of corruption and wasteful spending for such horrific deaths. This anger about lax oversight – of the country’s financial resources, of its rapid urbanization, and of its poor – exposes a lack of public confidence in state structures. Kazakhstan in many ways is Central Asia’s success story. Despite all odds, it has remained stable since the Soviet Union’s collapse largely due to the leadership of its president. Thanks to hydrocarbon reserves and an openness to international energy companies, Kazakhstan transformed itself from post-Soviet economic chaos to an “upper middle income” country in less than 20 years. It even manages to have simultaneously good relations with China, Russia and the United States – no small feat. Yet, the country’s oil wealth is unevenly distributed, and it gives authorities little incentive to diversify the economy or liberalize politics. Its reserves go to prestige projects of questionable importance, like glitzy architecture, hosting a World Expo or its failed Olympic bid. These projects are meant to showcase Kazakhstan’s rise and global clout. But average citizens rarely feel the benefits of the country’s growing international status. Kazakhstan’s money is controlled by a small group of economic and political elites in the two largest cities. 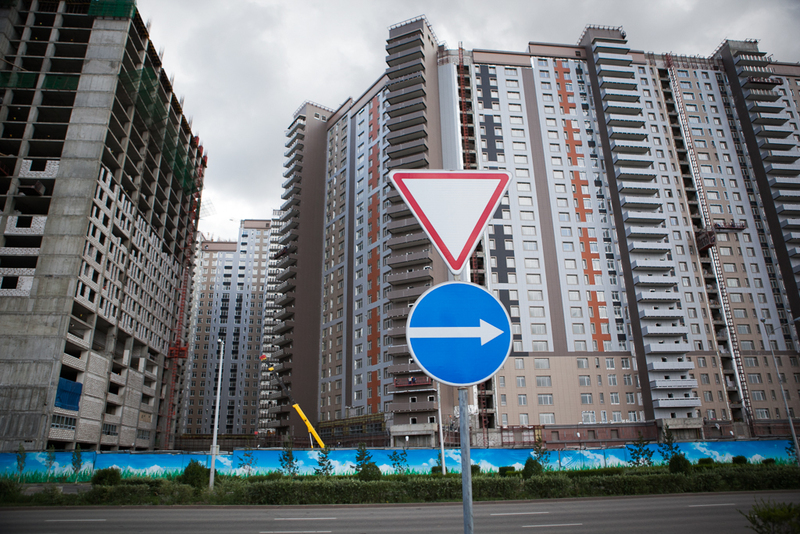 Construction in Almaty and Astana is booming, creating economic magnets that pull people from the countryside. But housing prices have skyrocketed, forcing many into the growing exurbs, where construction is shoddy, public services are sub-par, and crime rates are high. There is a new Kazakh urban underclass and these five girls were likely part of it. Kazakhstan reshuffled its government last fall after the floods and it looks like the fire may be shaking up the political system once again. Outrage remains strongest in social media, but there also have been small-scale protests, mainly consisting of angry mothers who demand the authorities live up to their promises. They have called for the resignation of the country’s labor and social protection minister; the government is clearly on the defensive, now rushing to propose new programs for better housing and social services. Two days after the fire, President Nursultan Nazarbayev put an end to talk of early presidential elections, despite indications that snap elections were imminent. With an angry public, now certainly is not the time to risk going to the polls, even the carefully choreographed ones for which the country is known. Yet, in their anger over this tragedy, Kazakhstanis are making their voices heard. They want a government that lives up to its pledges, but it is unclear whether anyone is listening. Paul Stronski is a senior fellow in the Russia and Eurasia Program at the Carnegie Endowment for International Peace.